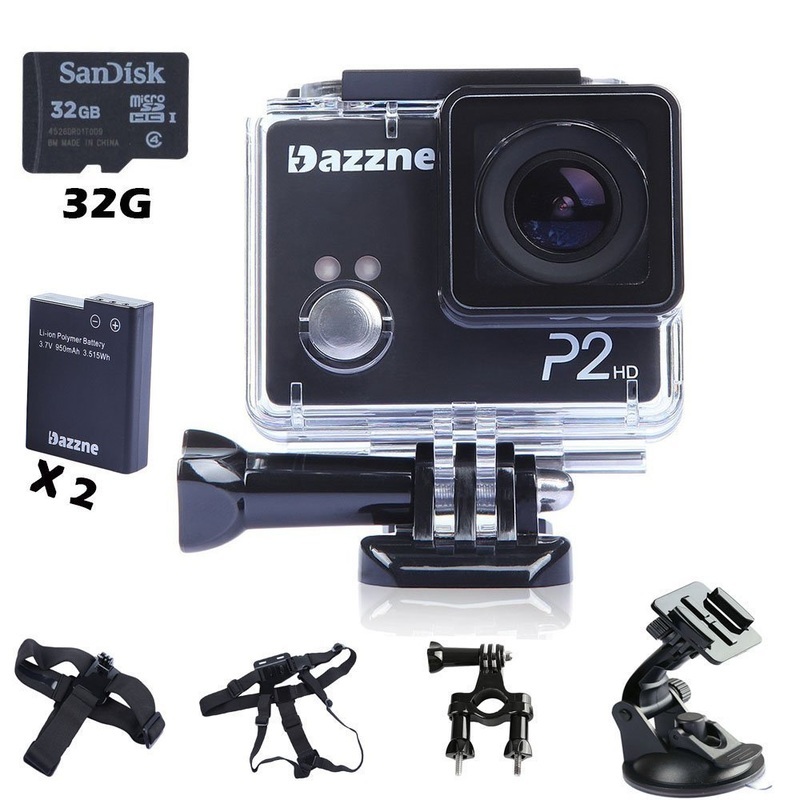 Sent to me for review, the P2 model of this super action camera has greatly surpassed my expectations. You can see here how tiny it is, while inside its protective, waterproof case. The camera itself is even smaller. My husband has been playing with it for about three weeks and absolutely loves it. He's working on a video but, in the meantime, these are his observations. 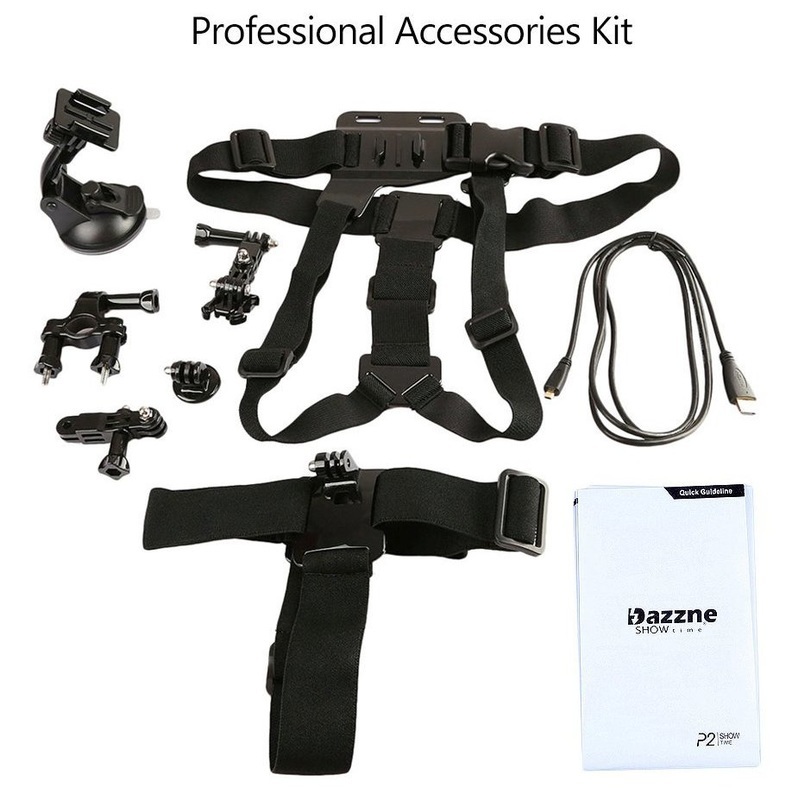 The Dazzne is a very small and lightweight camera, designed to capture fast-moving action. It does that brilliantly but also a lot more. I will try to cover most of its features. Specs – top resolution of 1080P with a choice of 16:9 and 4:3 formats. Up to 12MP, various options for burst photography, three timer settings. Accessories – very comprehensive. 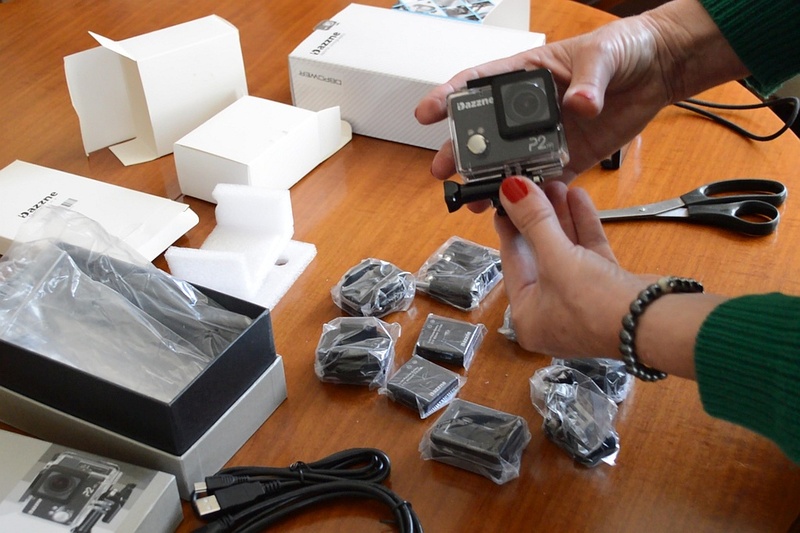 When we first opened the second box, we had no idea what all those pieces were for, but basically this gizmo comes complete with everything you could possibly want to attach it to almost anything (tripod, helmets, posts, handlebars, your chest, your head, the windscreen of your car). Operation – Very user-friendly. There are three multi-function buttons: an ON/OFF button which also selects the various Modes; a Select button which also confirms your choice, starts and stops video shooting and takes still photos; and a rectangular button at the front which is used for adjustments and to go backwards in menu selection. Manual – it's OK. As with every new gadget and toy, I need to read the manual twice and then try things before I get the hang of it. Instructions could be clearer but they are not the worst I've seen. Viewing angles – there is a choice of three, but the default extra wide angle is truly spectacular, ensuring that you capture all the action. Battery life – about 2 hours, and the Dazzne comes complete with a spare battery, giving you a total shooting time of 4 hours. Battery charging – is comparatively fast (less than 2 hours). The 2-bay battery charger handles different voltages in an intelligent way, charging both batteries at once, or one at a time depending on the power supply. 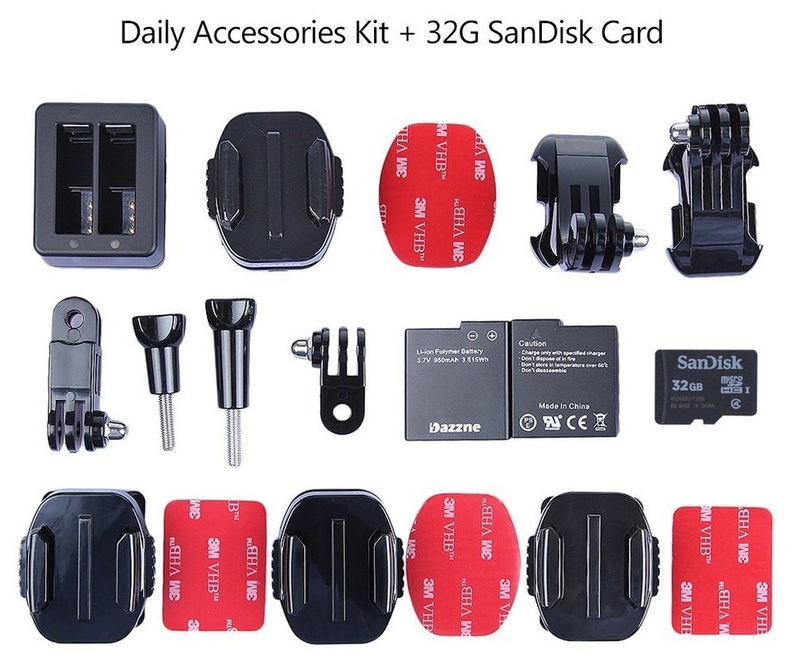 Memory storage - a good quality (SanDisk) 32GB memory card is included, which is really handy and lets you start playing immediately. Connections – USB cable for charging and data transfer and HDMI cable for TV. Transferring data to a pc or laptop could not be easier (we tested it with Win 8.1 and Vista). The Dazzne is seen as an outside disk and files are stored in logically identified default folders. Picture quality – very good to excellent. Really fast action may get a little blurry but it's amazing how well it follows all kinds of activities. One unexpected application was filming butterflies and particularly hummingbird moths, which are notoriously difficult to capture because of their random and sudden movements, and the speed of their wingbeats. The moderate fish-eye effect is not too obvious in more static shots. When filming in the car, the camera minimized a lot of jolting we got going over cobbles and uneven roads. Waterproof casing – really well designed and easy to put on and off, the clear shell protects the camera from rain and dust but, most importantly, allows you to film underwater up to 20 metres. It's tempting to keep the Dazzne inside this protective environment but to get the very best sound quality, take it out of the casing. 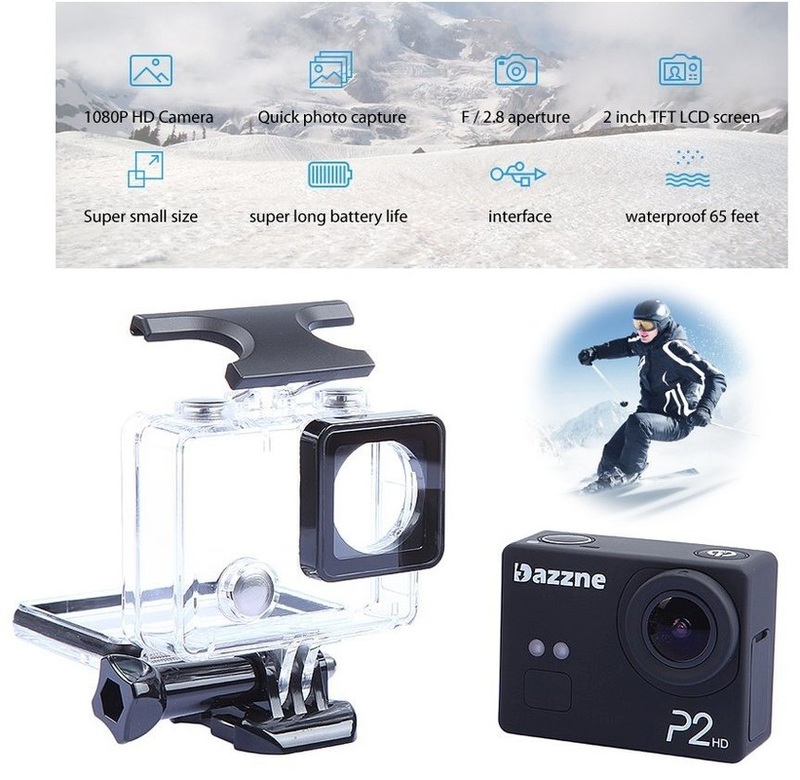 In conclusion, the Dazzne P2 is one of the best action cameras I have seen and great value for money. I appreciate the obvious planning that went into producing a complete package which seems to have anticipated every possible action application. In a sense, it is the video equivalent of the original Polaroid cameras. It's the sort of thing that you want to grab and use at every opportunity, rather than keeping it in a velvet case “for special moments”. Once you have it, you find stuff to film. I'm having a lot of fun with it and my main regret is that I didn't have one of these years ago, to stick on my riding helmet when schooling cross-country fences, or galloping my horses. I saw footage done that way and it did approximate the feeling of being in the saddle, but I know that the quality would have been 100 times better if they had been able to use a Dazzne.